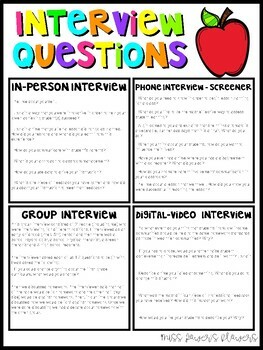 If you are practicing for teaching interviews this is perfect for you! I am currently in the interview process, so these are recent questions that I have been asked. Plus, this product is FREE!